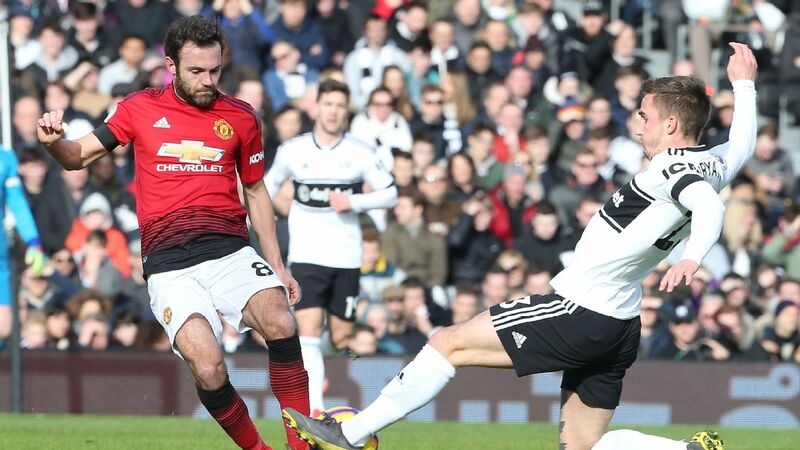 Manchester United eased past a woeful Fulham side to move up to 4th place in the Premier League. Following Ole Gunnar Solskjaer’s 10th win in 11 games as caretaker manager at Man United, Paul Mariner thinks the job he’s done should not be understated. ESPN FC’s Paul Mariner recaps Man United’s dominant display against Fulham, in particularly that of the Frenchmen Anthony Martial and Paul Pogba. Manchester United eased past a woeful Fulham side to move up to 4th in the Premier League. Manchester United’s rise into the top four of the Premier League is proof they can beat Paris Saint-Germain, according to Juan Mata. United were 11 points adrift of the Champions League places when Ole Gunnar Solskjaer took over in December but the 3-0 win over Fulham on Saturday lifted them into the top four for the first time since August. It is evidence of the turnaround under the Norwegian and Mata said he believes they can come out on top against the French champions in a tie that appeared daunting when the draw was made two months ago. “It is true that two months ago things were not going well for us,” Mata told ESPN FC. “First, it seemed very difficult for us to reach the Champions League places in the Premier League and we are already there. PSG’s visit to Old Trafford kicks off a tough run of fixtures for Solskjaer’s team. Following the Champions League round-of-16 first leg, United visit Chelsea in the FA Cup before a clash against Liverpool in the Premier League. “We have a tough but exciting month ahead,” Mata said. “Now we play against PSG, then we have Chelsea, Liverpool. Juan Mata in action for Manchester United against Fulham. Mata is out of contract at the end of the season and although negotiations with the club have been going on since last year, the Spaniard, who arrived from Chelsea in 2014, is yet to agree a new deal. “It is true that I finish my contract [at the end of the season], it is true that we are in talks to discuss [a new deal],” he said.